So we’re trying a new thing around the Treu house. Being healthier. I’ve heard good things. I’m not talking go crazy and stop eating all processed food (maybe one day :) But we can do A LOT better, just be smarter about what we’re putting into our bodies, into our kids’ bodies! I know as far as food, I’m pretty much the ring leader of this circus, which means a lot of it is my fault responsibility. It also means the changes will start and stop with me and that my kids will learn to eat the way they see me eat. So, it’s time my friends, time for a change. Right now I really just want to be intentional about what we eat/what we don’t eat. So far it’s been kind of a slow start. I’ve stopped buying a ton of processed food. And I’m trying to substitute good stuff for the not so good stuff we’re so used to. I’m also wanting to try new things. That’s not always easy, old habits die hard. But right now my kids seem somewhat adventurous with new foods, and they get excited about making food, so it can be fun! The other day I made kale chips. Yup, I took a green leafy vegetable and made them into chips. And you know what? The boys LOVE them! And what’s better, they were really easy to make and are a great substitute for pretty much any other kind of chips we might buy at the store. Preheat oven to 375 degrees. 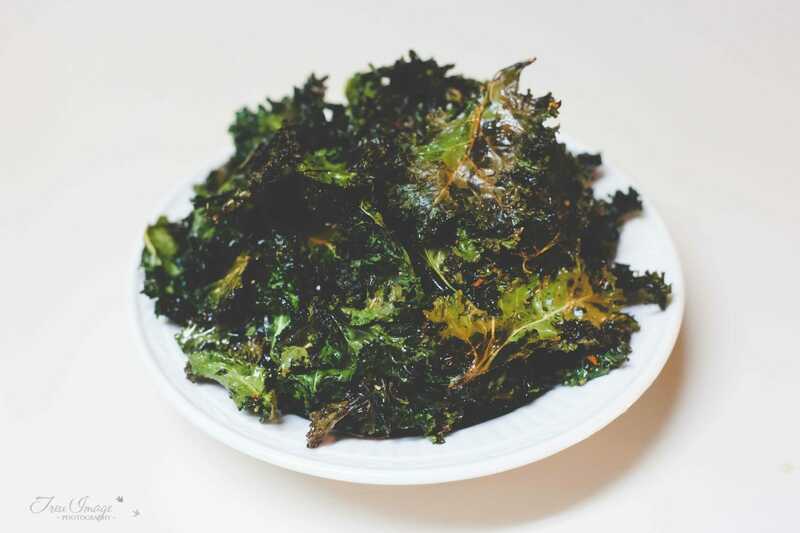 Take the kale (if not already off the stems) and pull off the leaves into bite sized pieces. (Kids like to eat stuff they helped make, so let them help where they can! Pulling off leaves? They can handle that!) Drizzle a little olive oil onto a baking sheet (we needed 2 baking sheets for our 1 bunch of kale). Spread the kale pieces out on the baking sheet. Turn leaves to lightly coat both sides. Sprinkle with seasoning. Bake for 10-15 minutes. Let cool and enjoy! Okay, go make some kale chips!